It’s official – winter is here and the coming holidays are just around the corner. For every company, this is an opportunity to reach out to their clients with special offers but for every customer, it is a bit of a bore. No one likes being bombarded with holiday offers on a daily basis. That being said, businesses have to first and foremost grasp that the competition is high, the consumers are losing their patience. Perhaps it’s time to adapt a new approach with visuals as your power tool. We will be looking more closely on how to approach your clients, how to perfect your campaigns and how to do so tastefully and skillfully with a focus on visual content. 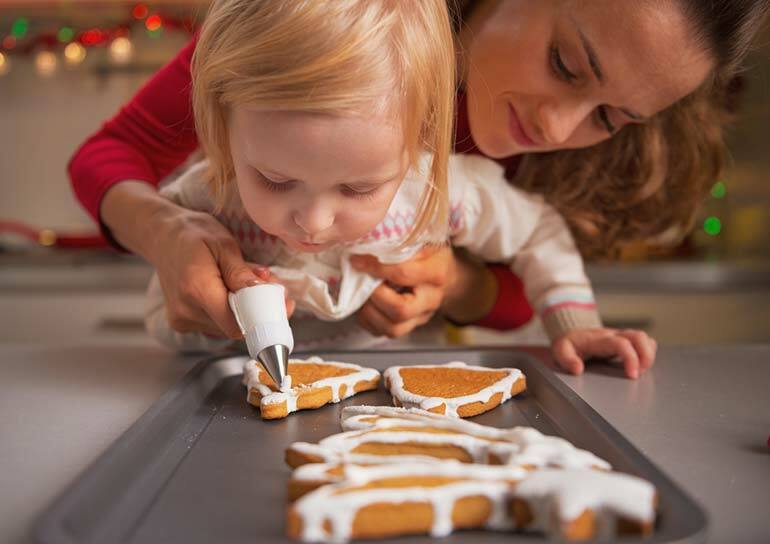 Many holiday campaigns lack clarity, conciseness and subtlety. It is the time to be jolly, but definitely not the time to beat around the bush. You must keep in mind that the average consumer gets swamped with all sorts of holiday offers at this time of the year. From this, arises a demand for campaigns that are more personalized; ones that show that you care and have put thought and effort into them, keeping your clients’ needs in mind. Clients want to see the human element and you will begin to notice that more and more businesses are adapting this concept; personalizing their messages and using authentic images to get their point across. We’ve established that this is the prime time for you to engage with your consumers. Clients are ready to make their purchases so it is up to you how you engage with them. Every design decision you make will influence the outcome. Retailers say that there are over 20% more sales during the holiday season. These holidays include Thanksgiving, Christmas and New Year’s day. The sooner you get a head start and find a personal approach to connect with your consumers, the more likely they are to pick you over your competition. Competition is the other factor that should motivate you to reach new heights. Learn from past campaigns, see what you can do better and how you can improve. Remember, every year is an opportunity to try something new and pleasantly surprise your customers in the process. The holidays season is not meant for sending a casual, everyday message. What is going to be your message? Brainstorm on abstract ideas and jot down the general feelings and emotions you would like to translate. Knowing exactly the mood you want to set and the message you want to translate will help you in the later stages. What is the ideal outcome of the campaign? Who is your target audience? We’re all emotional creatures by nature. This is why emotions play a significant role in purchasing decisions. 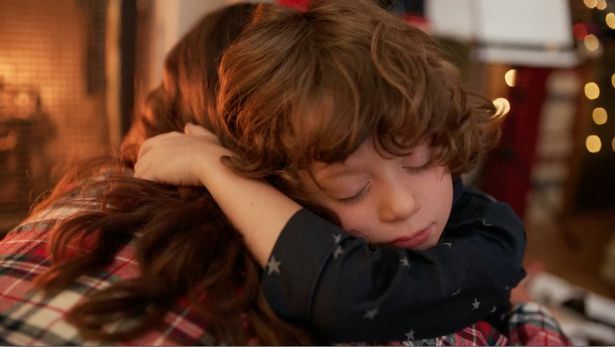 With your holiday campaigns, you have another opportunity to translate or evoke an emotion from your clients. 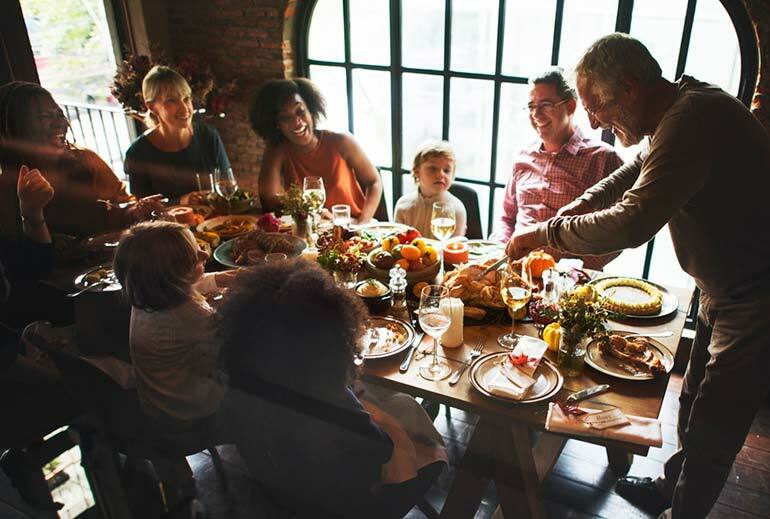 Themes such as family, comfort and friendship are all topics worth exploring for holiday campaigns. Part of why emotions are important is because an emotional reaction from your customers combines with their expectations and leads to action. If you’ve managed to move them, you can be sure they’ll remember you and consider your product. An important thing to take away from this article is that all your promotional materials should be working towards one solidified goal. This means all your marketing channels have to be in sync, as you are working towards delivering one message (which you’ve established in step 1). This can be achieved in a number of ways but the primary tool you have is finding the right visuals. Visuals are powerful and stand on their own. Establish a style that you are working with and maintain this consistency in your campaigns. Make sure all your social media accounts look in harmony. Skim through our Christmas collection. It’s a place where we’ve gathered images in the spirit of the coming holidays. You can look at individual artists and find the aesthetics that fit your campaigns. Next comes the more difficult task of finding the right visuals. 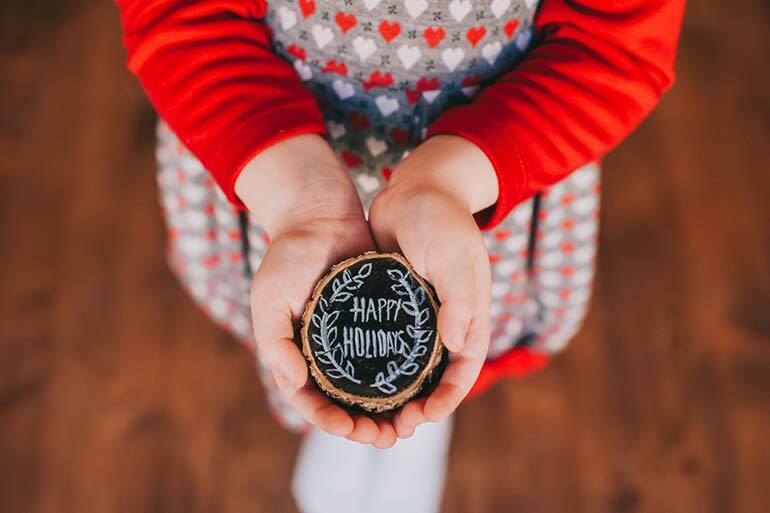 How do you choose from a large database of holiday imagery? It helps to familiarize yourself with a few trends. For instance, this year is all about intimacy, emotions, comfort and exotic travels. The visuals you choose can be used for email marketing, blogs and social media images. It’s important to start with a collection of images you can choose from. You can do this by using the ‘Favourites’ tab in your Depositphotos account. Start collecting images and later filter them by style. As you’re searching for visuals, search for Christmas and winter symbols. Try to find images that evoke emotions and feel a bit more personalized. Type in an emotion and the keyword you’re looking for and see the many options available to you. Do opt for authentic, sincere images that are relatable. Don’t settle for conventional visuals like santa, red and green color scheme and staged photographs. You can also search by seasonal colors for more unique imagery. Don’t rule out illustrations, they can add a personal touch to your brand message. If you haven’t yet, try our ‘Reverse image search’ if you have an image in mind and would like to find something similar. Use the filters in our database and try different filtering techniques such as searching by color or number of people in an image. Once you’ve gathered a collection of images that will be potentially used for your campaigns, think about the bigger picture and the story you’re trying to tell. This can be done by using images with space so that you can customize them with your own text. Alternatively, you can use images from the same author so that all your visuals are more unified. Storytelling through photography entails that your images work well together and have a defined message. Pay attention to the emotions and how they’re translated in your campaign. Make sure your collection looks like it comes from the same source instead of random visuals (no matter how beautiful they are). There are great tools that you can use to create collages, add text and edit your images. To find out more, read our article on “How to Use Photography to Build Your Brand’. Similar techniques can be used for your holiday campaigns. Some would say holiday campaigns are a great opportunity to advertise. Try something different this year – say no to product placement. Instead, offer your clients a touch of the unexpected. Try to make a positive impact by creating unique content that clients will want to share. Although you won’t be advertising your product, you could achieve a spike in traffic if your holiday campaigns focus on the clients and their needs. Add a personal, human touch to your marketing campaigns. It’s the holiday season and clients would love to see something different that doesn’t involve direct advertising. When you create truly shareable content, more clients will be inclined to spread the word. This is precisely why we place the emphasis on visuals for holiday campaigns. Studies have shown that majority of people are visual learners. Keep this in mind and give your clients something to remember you by. Your image selection process need not be complicated. Don’t lose sight of what is important and always think about your target audience. 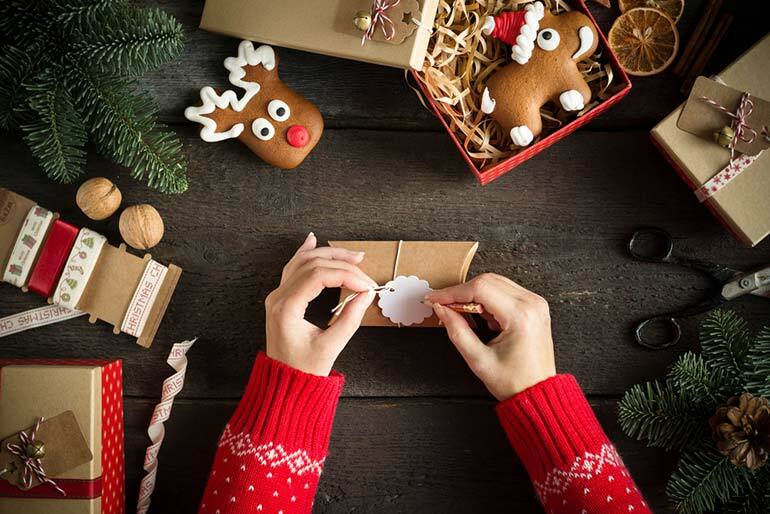 Personalizing your visuals to fit the needs of your clients, coordinating your copy and visuals and customising your visuals to fit social media channels will help you create a holiday campaign customers will love. 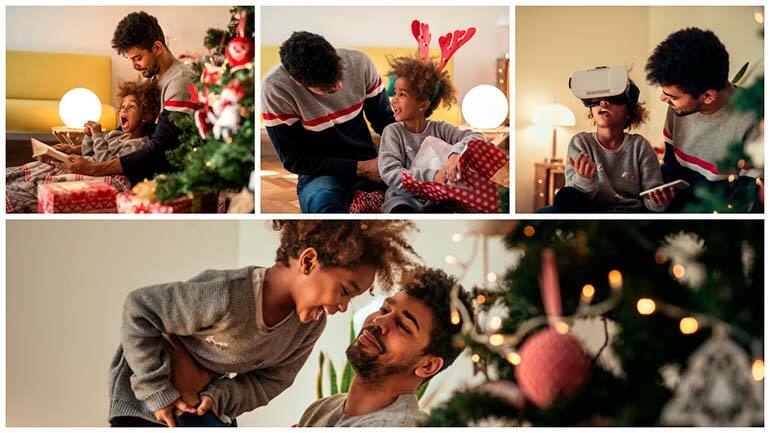 Don’t forget to check out our photography trends for holiday marketing!